You can use them in various ways - centerpieces, arrangements, table decor, and bouquets make great christmas gift that reflect all the kindness of this time of the year. Some are very traditional, like poinsettias, but with creativity one can play with different flowers and their colors and create dazzling bouquets and arrangements. This Christmas festive bouquet takes pink roses, red carnations, green chrysanthemums and golden pine cones. This one is focused on carnations. 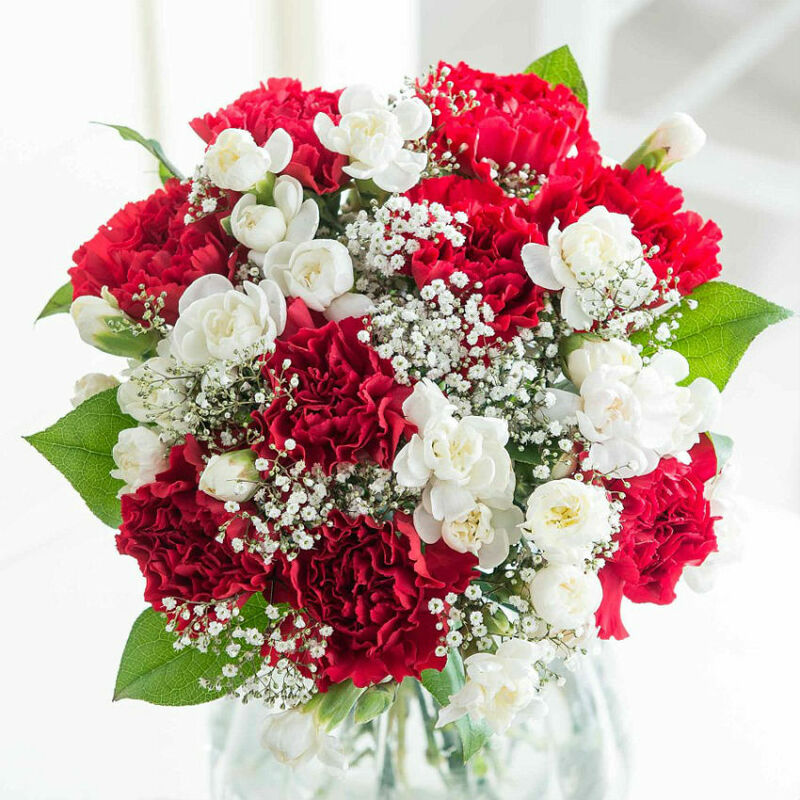 You can use red carnations, white carnations and white gypsophila. 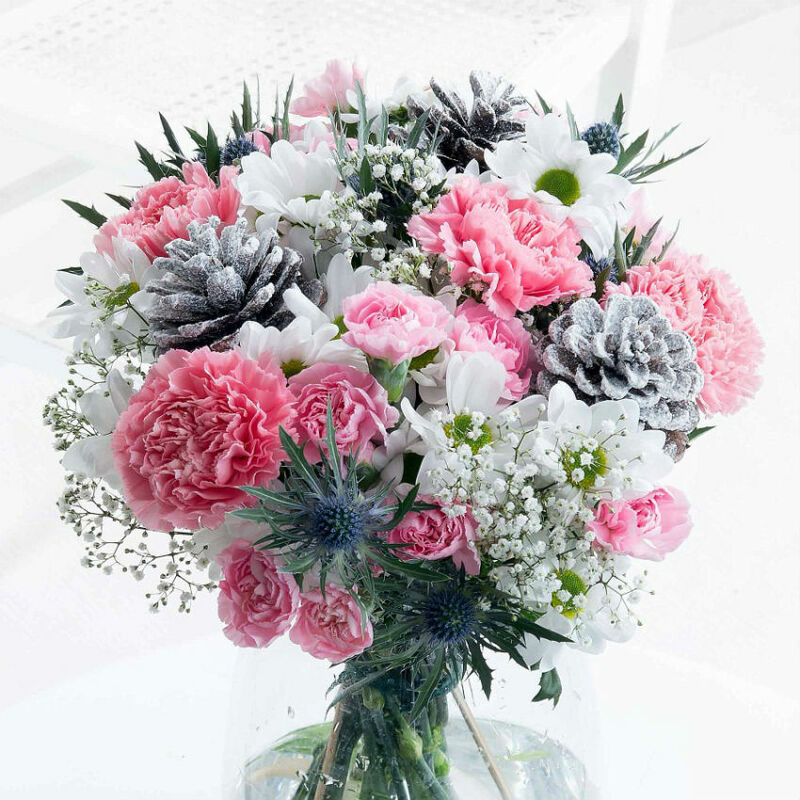 Create a winter wonderland bouquet with white chrysanthemums, blue eryngiums, snowed pine cones, pink carnations and gypsophila. 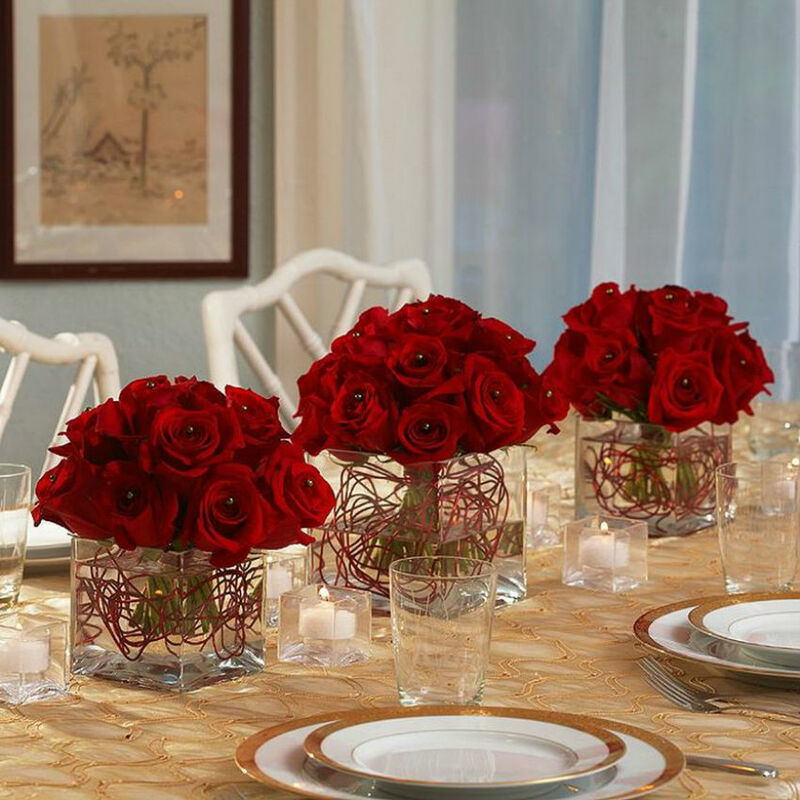 These beautiful and vibrant red modern centerpieces will have a huge impact on any table. 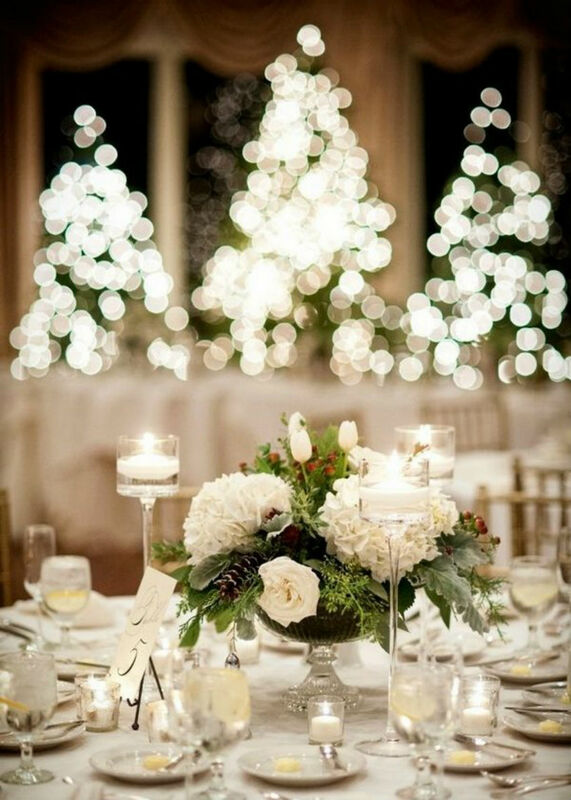 Check out this white and green elegant table decoration with pines and white carnations. So classy! Poinsettias are the greatest Christmas classic when it comes to plants, but they don’t have to be all red. And you can make beautiful arrangements like this one mixing with pine and green ornaments. 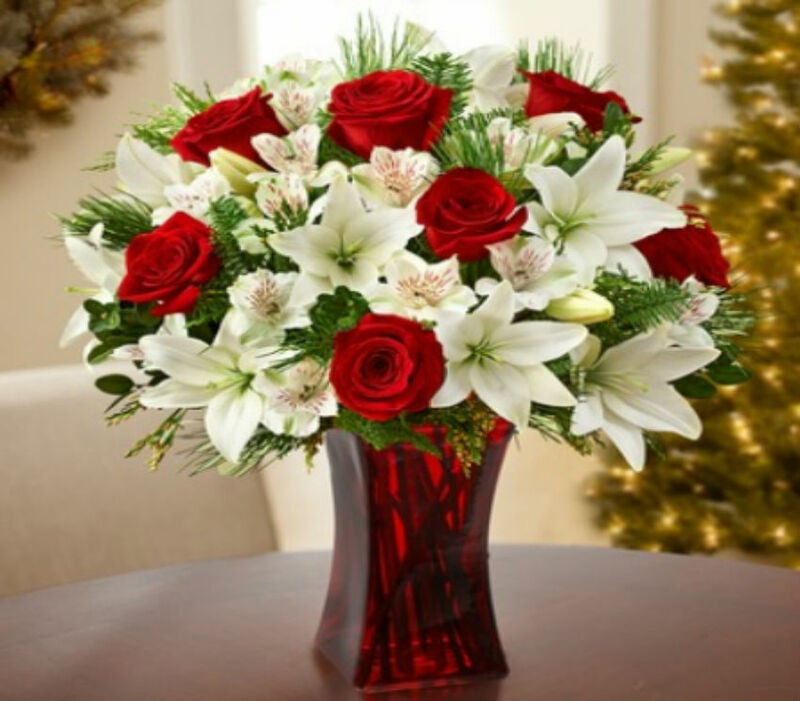 Lilies are also a holiday favorite and they look amazing with red roses and some greenery. The red vase is a must-have. 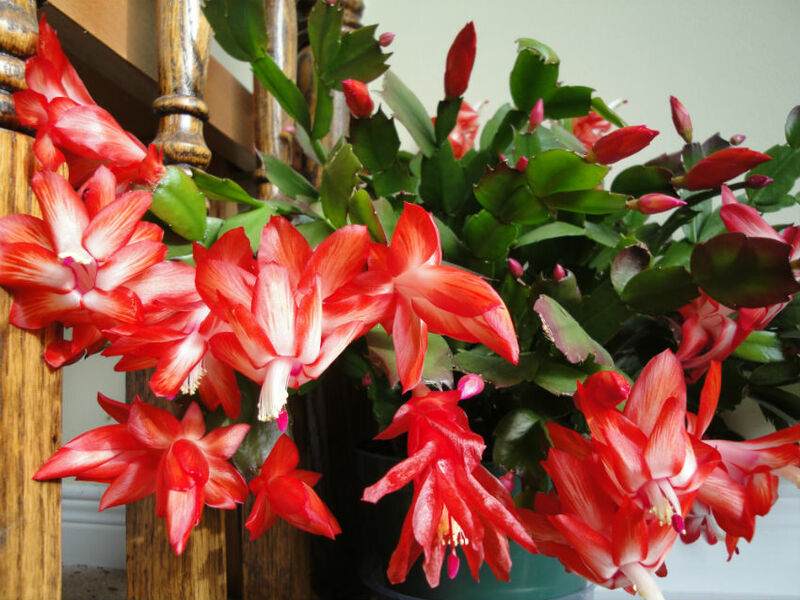 Another holiday classic, Christmas Cacti are beautiful and they can endure several holidays. These flower decorations will draw everyone’s attention with the wonderful styles. 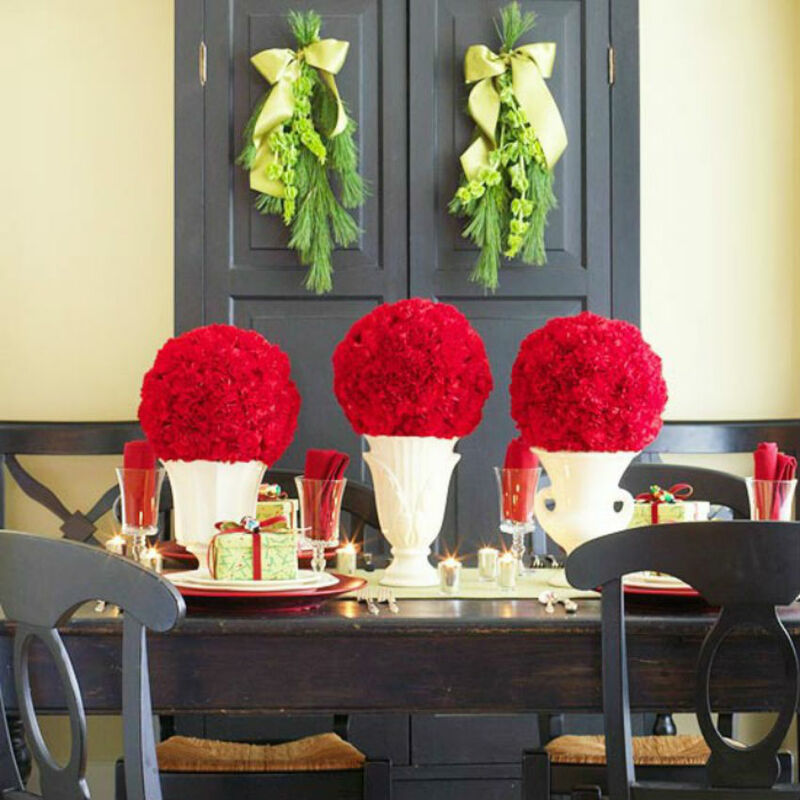 Flowers represent the holiday spirit like few other decorative pieces can. This time of the year filled with joy makes it imperative that you have them in your house. Get inspired and create your own arrangements. 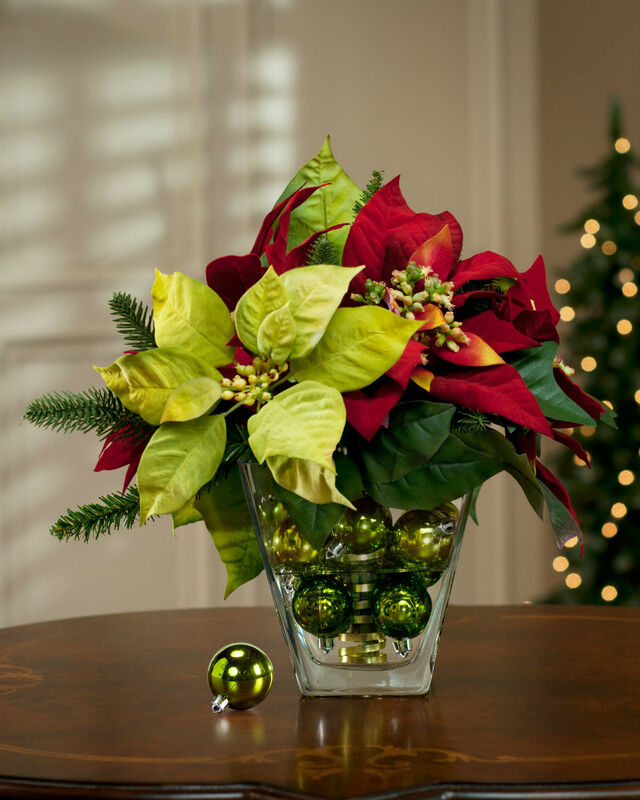 What kind of flowers are you having at home in order to represent the holiday spirit? Share your pictures with us through our Facebook page.